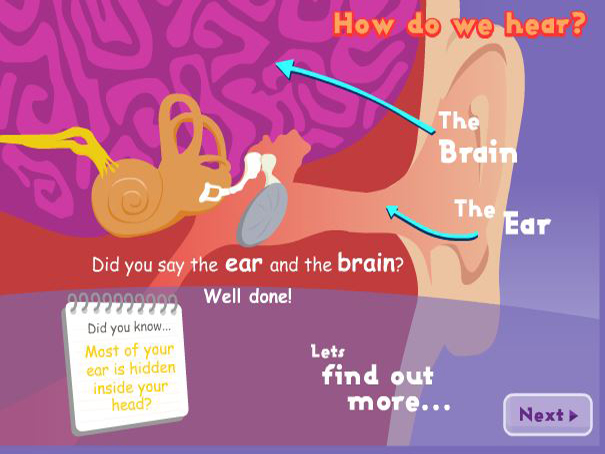 A fantastic interactive site that teaches you all about hearing and the vocabulary for all the different parts in your ear. Look at the diagrams, read about the functions and learn the terms. There is a quiz at the end to test your new knowledge.